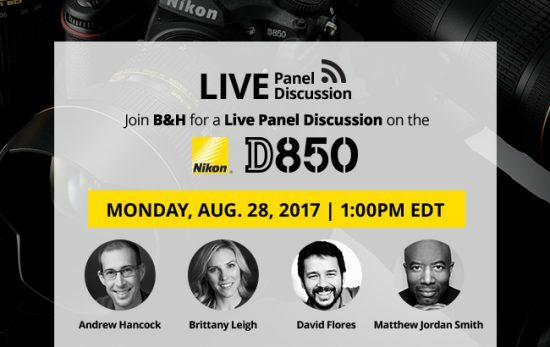 Nikon D850 live panel discussion at B&H on Tuesday, August 29th at 6:00 pm EST. Nikon D850 event at Adorama on Tuesday, August 29th at 6:00 pm EST. 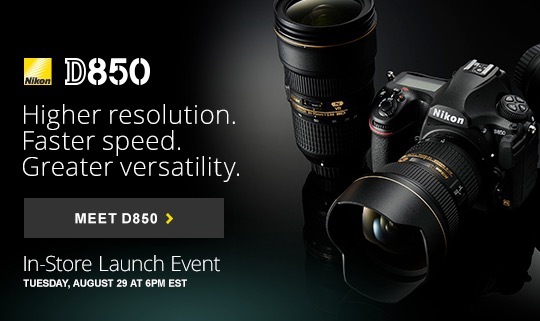 Nikon D850 panel discussion on Monday, August 28th at 1:00 pm EST. Nikon D850 hands-on events at WEX on August 25th and September 1st (UK).